Arrived BeiJing from Wu Han on 30th Jan. by AirChina flight, in the afternoon I took the subway to Pan Jiayuan (潘家园) and bought my new glass, I went to the Yi Jia Ren shop (一家人) directly the same as last time, I trusted this shop, it’s by the word of mouth and a few purchases before, there are so many optical glass shop, when there are too many choices, you need to compare everything and bargain every time, which I don’t like and not good at and I also don’t have the time, simple for me, just go to the same shop and choose the glass, not much bargain, settle down the deal, they will make my glass ready onsite, less than 10 minutes. 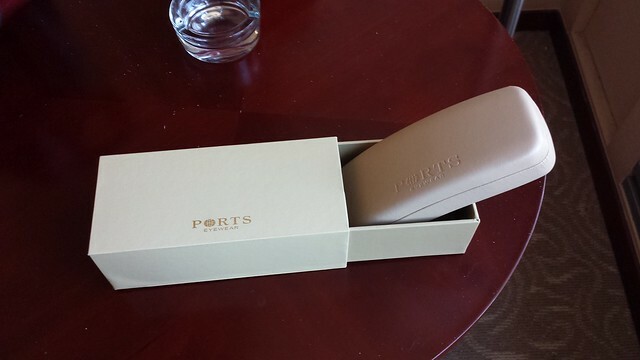 I bought a bit more expensive one this time than last glass, this time I chose the brand Ports, cost me 1100 RMB including the glass lens. After I come back, searched online, found it’s a little bit expensive by the price, but still at the okay range, and the most important thing is I trust their service, quality, and the glass is a genuine one, typical consumer mindset of myself.